Lamar Lighting VOL Gen2 Collection LED Light in baked white enamel finish, features die-formed of code gauge steel housing. Frosted acrylic lens offers even light distribution. 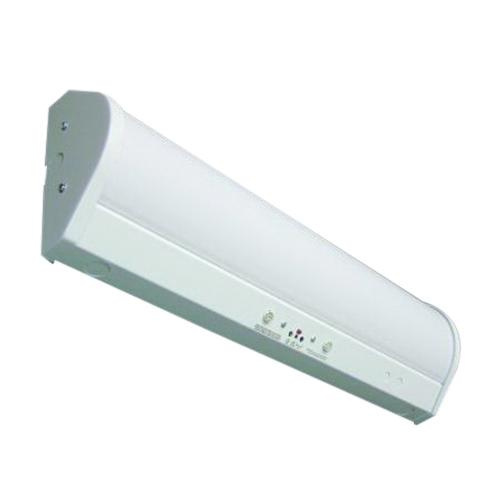 This light in rectangular shape, has 48-Watt LED lamp that has voltage rating of 100 - 277-Volts. Lamp has color temperature rating of 4000K to ensure optimal light level. Recessed/surface mountable light measures 4-ft x 7.8-Inch x 3.99-Inch. It has 85000 hours of average life. Integral ultrasonic motion sensor in the light is designed to provide safe, dependable illumination. Light is ideal for stairwells, restrooms and laundry rooms. Light is UL listed and DLC certified.